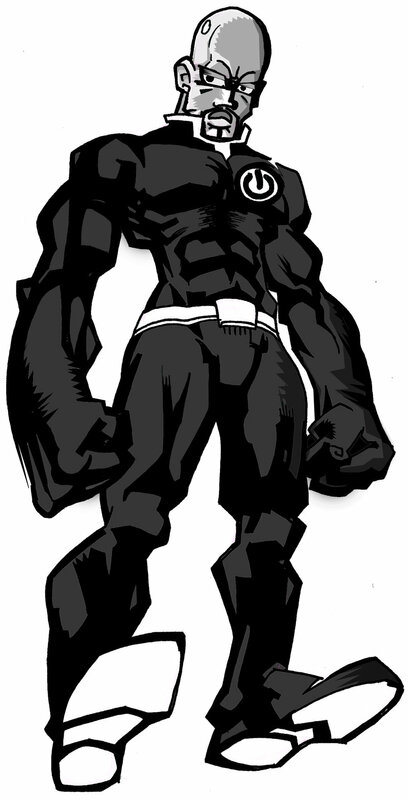 Well, since today is the beginning of BLACK HISTORY MONTH, it seems like a perfect time to post about this character. Strangely, although I got so many commissions on this character over the course of several months, I never really did work out much details about it. This character was more in response to another character I’d created. 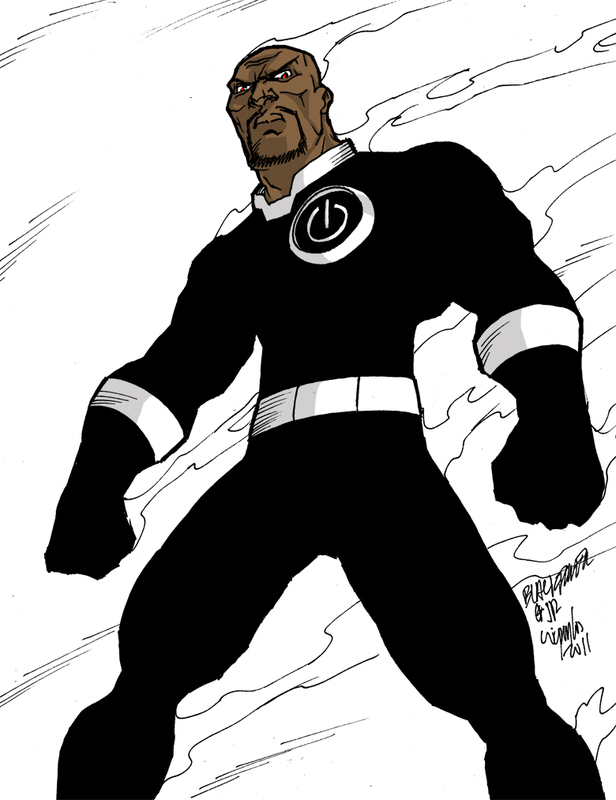 While the other character was deliberately meant to be a Superhero Who Happened To Be Black, I thought that this one would consider himself, first and foremost a Black Superhero. 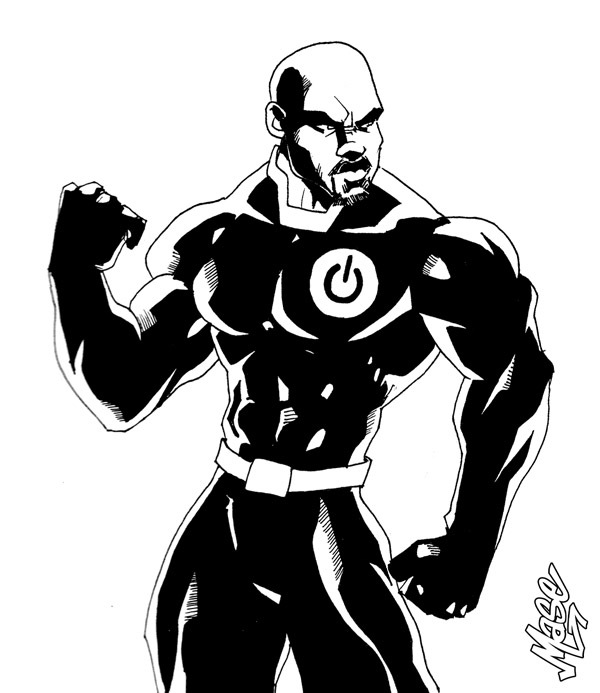 He was meant to be a stereotypical Angry Black Man, a militant pro-Black activist, but with super powers. And he was determined to use those powers to protect and defend the Black Community, while dismantling what he considered to be the White Supremacist power structure in America. He’s the type of guy who could call other Black superheroes sellouts and Uncle Toms, to their face, if they were doing what he thinks they should be doing. To some degree he’d be based on what I would do if I could write a solo series for Milestone Comics’ WISE SON, who is one of my favorite characters. 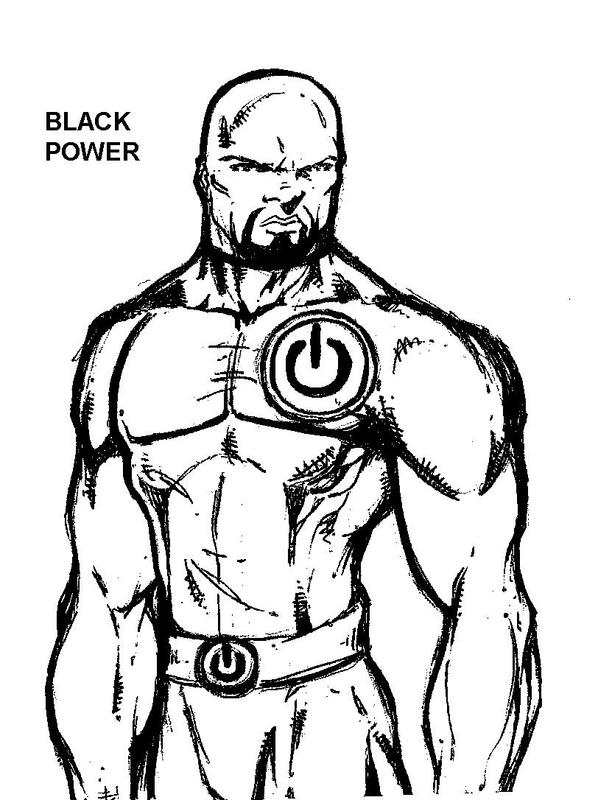 So I just came up with the name BLACK POWER for him. 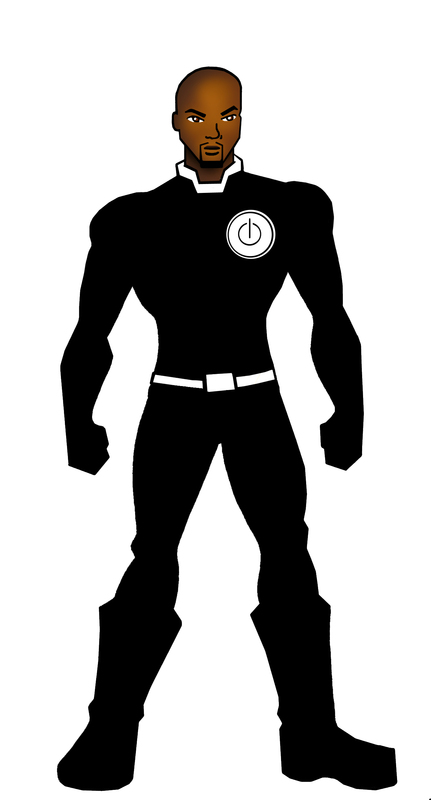 I think I just did a google image search for “Power” and came up with the idea of using the computer power-symbol as his symbol, along with just a full solid black suit. The basic power list he’d have were flight, super strong, super fast, and invulnerable. But, like I said, I never filled in most of the details, like how he got his powers or what his secret identity is. I know I originally envisioned him to be a younger man, say in th 19-21 range. I think that was reflected in the above image, which was commissioned from CELINA HERNANDEZ. 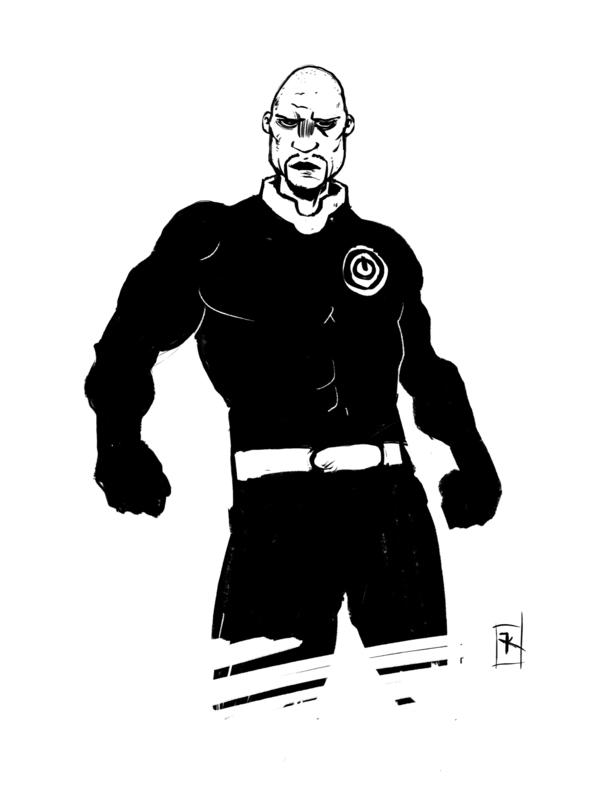 But I subsequent artists all drew him looking a bit older. Here’s something I got from ARIS ILIOPOULOS, I think this may have been a freebie that he drew for me, just because he liked the character. 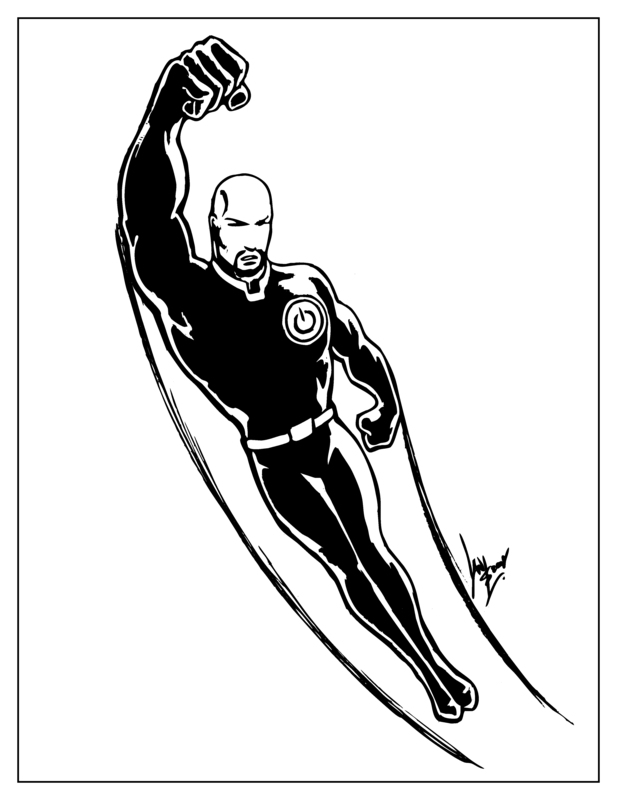 And this was just a little sketch my friend and former coworker DANIEL NUNO did for fun. Ultimately I don’t think that this is a character that has much depth. Or if it does, it would take a much more talented writer than me to do it justice. So I’ve pretty much scrapped any plans to use him. But you never know. . .